2018 CHEQUEGNAT - Saturday, June 2nd, 2018! The festival is ON! Music starts at 2pm. See the Info page for more. since 2001. 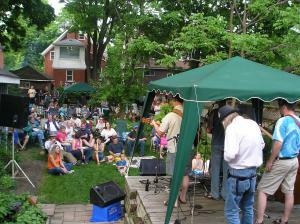 It is hosted by five homes in a neighbourhood near downtown Kitchener. In order to keep the size appropriate for the venue, attendance is by invitation only. Content © 2013, foundation software inc.